So this isn’t a paid advertisement but I’m just a really big fan of all things locally made by hand. 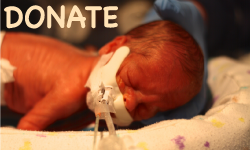 Chances are you share a similar interest if you are reading this blog and checking out the various projects that we’ve done around our house. It seems to me that handcrafted items are a dying art and it seems like more and more things are going overseas and being built in factories. It’s so refreshing to find an awesome product that’s made right. 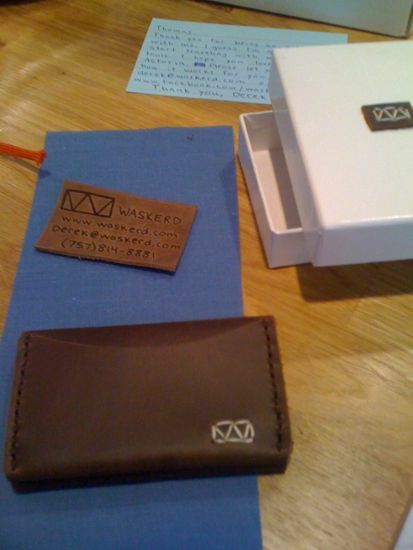 The Waskerd Wallet is one of those products. 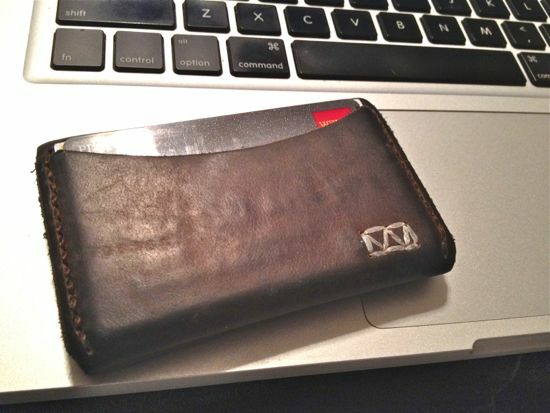 I first got my Waskerd Wallet about a year ago when the company first launched their website. The owner of Waskerd is the brother of one of my friend’s. I had been admiring his slim wallet for quite some time and asking him how I could my hand’s on one. I was super excited to know that he was launching the business to the general public. I think I may have even been one of the first ones to order. Anyways, here’s what I love about it. Great branding, awesome packaging, a personal note, and a really cool wow affect. So much so that I even took a picture for twitter. The quality of the wallet is top notch. Full-grain leather with extremely durable threading (mine shows no signs of wear/tear). 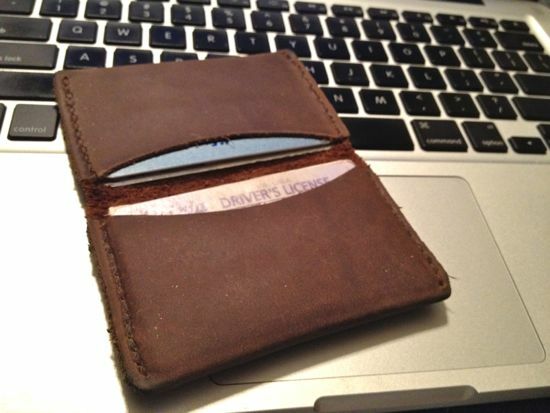 It’s a really slim wallet…..potentially the slimmest that I’ve ever had. Even though it’s slim, it holds all my essentials. I purchased the Astoria 3-Pocket and it holds 3 credit cards, my driver’s license, insurance card, a few business cards, and a times a little bit of cash. It looks like he just released a newer wallet that I would be even more interested in called the Madison 3-Pocket (looks like it would hold cash a little easier). My last little endorsement is for the fellas who are about to get married……if you’re trying to think of a cool groomsmen gift….check out his monogrammed groomsmen wallets! I would be so stoked if someone gave me that. All I gave my groomsmen was a tie. Fellas-check out his stuff for yourself and/or groomsmen…..Ladies-check it out for your man, soon-to-be-man, or in the near future for yourself. What hand-crafted products are you crazy about?